“For though we walk in the flesh, we do not war according to the flesh. For the weapons of our warfare are not carnal but mighty in God for pulling down strongholds, casting down arguments and every high thing that exalts itself against the knowledge of God, bringing every thought into captivity to the obedience of Christ, and being ready to punish all disobedience when your obedience is fulfilled”. ( 2 Corinthians 10:3‭-‬6 NKJV). “Finally, my brethren, be strong in the Lord and in the power of His might. Put on the whole armor of God, that you may be able to stand against the wiles of the devil. For we do not wrestle against flesh and blood, but against principalities, against powers, against the rulers of the darkness of this age, against spiritual hosts of wickedness in the heavenly places. Therefore take up the whole armor of God, that you may be able to withstand in the evil day, and having done all, to stand. Stand therefore, having girded your waist with truth, having put on the breastplate of righteousness, and having shod your feet with the preparation of the gospel of peace; above all, taking the shield of faith with which you will be able to quench all the fiery darts of the wicked one. And take the helmet of salvation, and the sword of the Spirit, which is the word of God; praying always with all prayer and supplication in the Spirit, being watchful to this end with all perseverance and supplication for all the saints—(Ephesians 6:10‭-‬18 NKJV). 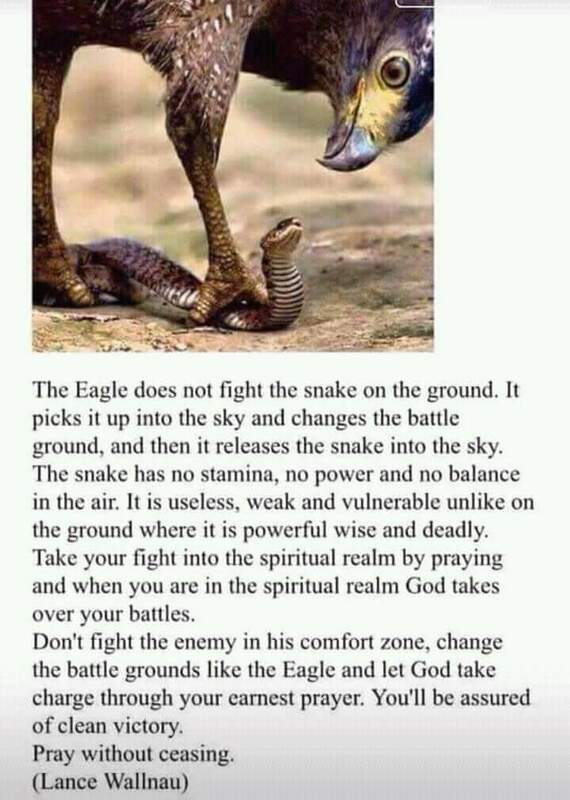 This entry was posted in Daily Message and tagged Let God fight for you.